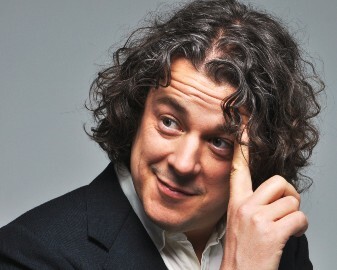 Comedians such as Alan Davies, the much-lauded resident dunderhead on "QI", Live At The Apollo star Sara Pascoe, the 8 Out Of 10 Cats team captain Sean Lock and host of Channel 4's groundbreaking The Last Leg Adam Hills plus many more will be taking to the stage each night. "Brighton is famous for its vibrant arts and festivals scene, and we hope to add even more quality to that. Perhaps now more than ever it's good to be reminded of the absurdity and humour in life and our acts have some of the most brilliantly absurd minds in the country." The shows take place inside a giant Big Top tent set in a boutique festival which feature a range of street-food traders, bars serving craft beer, summer-inspired cocktails and lots more besides, all on the leafy lawns of Preston Park overlooking the heart of Brighton. Brighton Comedy Garden at Preston Park, Brighton, from 19-23 June 2019.